Chairman supervisory team ‘Hart van Zuid’, urban design and design guide lines for urban renewal of former industrial area Stork company in Hengelo, Netherlands. Design of 2nd phase Amsterdam IJburg in collaboration with Jurgen van der Ploeg, Ronald Rietveld and colleagues from department of urban planning dRO. Design for Museumplein Amsterdam in collaboration with Michael van Gessel and colleagues from the Amsterdam department of urban planning dRO. Enschede Nieuwstad, design for new inner city neighbourhood adjacent to the city center of Enschede. The Hague, design for Masterplan International Zone in collaboration with public space designers from the municipality of The Hague. “Muziek Kwartier”, urban design for public space and adjacent building envelopes in inner city area of Enschede. ‘City of cities’, international competition entry for a new administrative capital for South Korea, a city of 600.000 inhabitants between mountains and a river in central South Korea, in collaboration with colleagues from dRO and Venhoeven CS architects, Amsterdam. Urban design Overhoeks area, former Shell Laboratories, Amsterdam, high density development for City of Amsterdam and ING Real Estate in collaboration with Jaap van den Bout, Palmbout urban planners. Hoofddorp, Netherlands, redesign for town centre, in collaboration with Felix Claus. Amsterdam IJburg: design of public space. Amsterdam IJburg, Haveneiland, urban design second phase Haveneiland, in collaboration with Felix Claus, Frits van Dongen and dRO. Start of ‘OR lab’ a platform for debate on topics concerning public space in Amsterdam. Participants include designers working for the city and for the city boroughs. Amsterdam IJburg, Haveneiland: urban design for first phase of Haveneiland for ‘Consortia IJburg’ (collaborating developers and investors), with architects Felix Claus and Frits van Dongen and Jan Stigter and other colleagues of dRO city planning Amsterdam. Amsterdam Eastern Harbors, Rietlanden, Houthavens, Zeeburgereiland, urban design schemes and design for the public space. 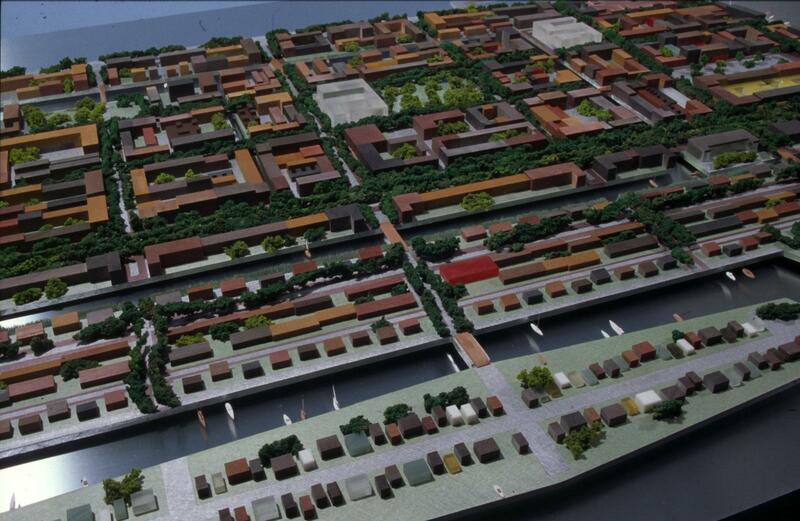 Amsterdam Eastern Harbors area, Java island, Borneo/Sporenburg, design guidelines, direction of the design process, contributions to the urban design schemes and design of the public space. Amsterdam Eastern Harbors, KNSM island, contributions to the urban design scheme, selection of architects and design for the public space. Amsterdam Eastern Harbors Area, Masterplan 1989, with colleagues of the department of urban planning, Masterplan Eastern Harbor Area 1989.